SHAH ALAM: Back to the future III. In the earlier post Back to the Future I reported that the newly refitted Laksamana class ships did not appear to be equipped with the Gem Electronicca Electro Optical Fire Control System (EOFCS). This was based on the pictures of the ships put up by the RMN on social media prior to LIMA 19. KD Laksamana Tun Jamil after the refit on March 12. Note there is nothing on top of the bridge to indicate an EOD has been installed. RMN picture. At LIMA 19, three of the Laksamana ships took part in the Fleet review namely KD Laksamana Hang Nadim (134); KD Laksamana Muhammad Amin (136) and KD Laksamana Tun Pusmah (137). I am not sure whether the second ship of the class KD Laksamana Tun Abdul Jamil, took part in show as I did not have the time to go to Porto Malai, the location of the maritime section of LIMA. KD Laksamana Hang Nadim at LIMA 19. Zaq Sayuti. Anyhow a close up scrutiny of the three Laksamana corvettes at the fleet review, confirmed that the EOFCS have not been installed on the ships. KD Laksamana Muhammad Amin together with its sister ship at LIMA 19. Zaq Sayuti. This was confirmed by Gem Electronica officials and their local counterparts from Genting Etika Sdn Bhd, when I met them at the show. They told me that indeed the EOFCS had not been installed on the Laksamana class corvettes. KD Laksamana Tan Pusmah at LIMA 19. Zaq Sayuti. They said that the EOFCS would be installed on the four corvettes, this July. They said the EOFCS equipment had undergone factory acceptance tests recently and they would be shipped to Malaysia soon. Interestingly, only four of the EOFCS would be installed on the four corvettes which meant that the aft radar directed 40mm guns would likely not be operational. A picture of KD Laksamana Muhammad Amin in 2004 when the corvettes were still equipped with the Otomat SSM. US Navy picture. As for which ships that will received the other four EOFCS – barter traded with the MBDA Otomat missiles – that will be revealed in another posting soon. 16 Responses to "Back To The Future III"
Will the current RTN-10X Radar FCS still be operational after the installation of the EOFCS? Latest pictures showed that there is still Aspide SAM launcher on the ship. EH? Not 4 EOFCS for the 4 Laksamanas? One each? TLDMs 1st LMS ready for launch! Ps. Any news of the name? so,40mm gun is now spray and pray only?And is the Aspide is still operational? Depending on its installed location, IMO the EOFCS can be used to train both 76mm and 40mm DARDO guns, but not at the same time of course. Back on the LMS, that is IMO one of the fastest steel cutting to launch of a TLDM ship ever. 15-to-5 Plan is good but money is hard to come by. We shall just make do with what we have now and sustain/upgrade. Missiles and weapon package cost as much as hulls themselves. Rather than envisioning a spanking new fleet, upgrading and sustaining what we have now and new capabilities like MRSS and ASW choppers is more feasible. We shall also equipped the NGPVs with SAM (e.g. RAM) and SSM (e.g. Exocets or NSM) like we had planned before. Been talking about it for years. The Lekius can also use new SAM (e.g. CAMM) and SSM (e.g. Exocet Mk3 or NSM). They being not in the 15-to-5 Plan despite still good ships is a waste. Whatever it is, the fundamental issue is this. If you arm the ships with missiles and what nots, what is the main purpose of that said vessel? Is it to be used for all out war? In all out war, fighters armed with anti-ship missiles will annihilate most warships. If not for all out war, if just for peacetime policing of the sea, does it need to be armed with missiles? Or does it even need to be under the navy? Why not coast guard? 1. Keeping sea lines of communication (SLOC) open or closed during conflict. This will also include mine warfare. 2. Undersea warfare and deterrance with submarines. ASW operations. 3. Fighting and winning littoral war against insurgents and non-state actors. This includes amphibious/brown water operations. 4. Safety and security of malaysian oil platforms, malaysian outer islands and reefs. 5. Maritime area air defence. For this IMO we need to beef up our submarine force, to at least 6 subs. Having highly capable ASW frigates in the form of the Gowinds (at least 9) and a fleet of larger general purpose frigates like the Arrowhead 140. For number 3, we need fast ships, armored for small arms fire, with multiple RCWS cannon and small missiles that could fight small boat swarms in a war against insurgents/non-state actors. MRSS with well docks that could support amphibious operations, or become motherships to CB90s for enduring littoral operations. OPVs IMO are best passed on to MMEA. MPSS maybe we still can stick with 3. Scorpene we will remain 2. Another 6 Meko if based on its original cost, is USD1.8 billion. 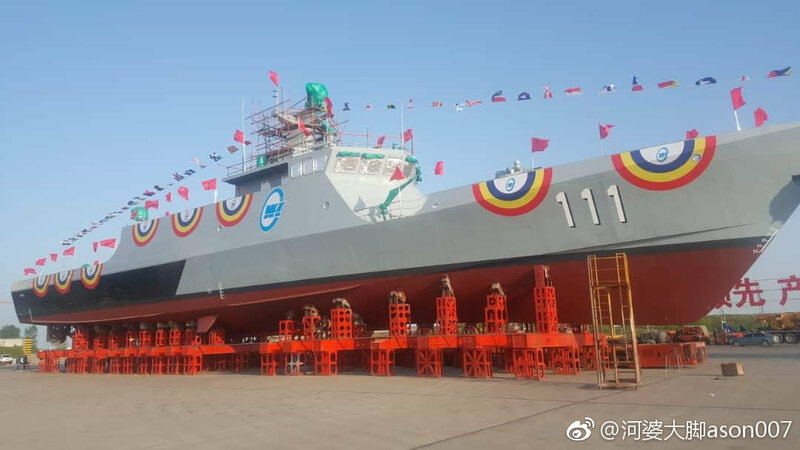 The same number of MMEA Damen 1800 OPV (that arguably can do the same tasks as the Mekos) will cost just USD336 million. So why do you want more of those Mekos? Better for TLDM to buy more Gowinds instead. The Chinese LMS? That thing still costs more than the MMEA OPV. 20 more of those LMS will cost us around USD1.2 billion. We cannot have just 2 Subs. Vietnam has 6, Indonesia 5 (their target total is at least 12), Singapore 4, bangladesh has 2, not to mention dozens China has. In the event of a major maritime conflict, submarines would be the biggest deterrent a small country like us can have. To find a submarine, a disproportionate amount of resources (ASW frigates, MPA, ASW helicopters, other submarines) has to be allocated to find even a single submarine. Surface ships can easily be found and destroyed, by Fighter Jets carrying anti-ship missiles. Without a rear facing EOD, there will be a blind spot for the Y-gun, even though the front EOD can be used to calculate firing solution and weapon assignment for the Y-gun. Have been wanting to ask this question for a long time, but always forget about it. Guess it’s question with much lesser priority compare to MRCA/LCS/LMS etc. Just what happened to the Laksamana class FSC/electronics/radar/whatever? I know those are maybe old tech pieces, but they are in service for barely 10 years (97-07?) and started to fall like flies. All of the electronics on the ships are obsolete. If the electronics in the Laksamanas were obsolete, wont it make those in the Predanas look like dinosaur? I mean, even if those were old electronics, at least it’ll allow the RMN to fire the missiles and guns instead of using them as FAC/GPMG?? Does that mean we do not have any more FAC/M? Btw, I still don’t get it when you said the electronics are obsolete, hence we’ve to remove the weapon systems. Is it because it’s something of wear and tear nature? To me I’d say even if the electronics is obsolete, with a capability to fire even a Sea Cat missile is better than having just GPMG. Hope you can enlighten me on this part. We still have 14 FAC, two patrol boats. The simplest explaination for the obsolescence issue is currently most Windows computers currently use Windows 10, they cannot run on Windows 95 anymore. A Sea Cat missile need its guidance radar and firing console working properly, without it one cannot even fire it. Yes, agree on the point about Win95 and Windows 10. But I’m curious about whether we have all the ‘Win95’ systems failing in those ships? Is it something that needs constant maintenance/replacement? If so, any MTBF figure that can be made reference to?